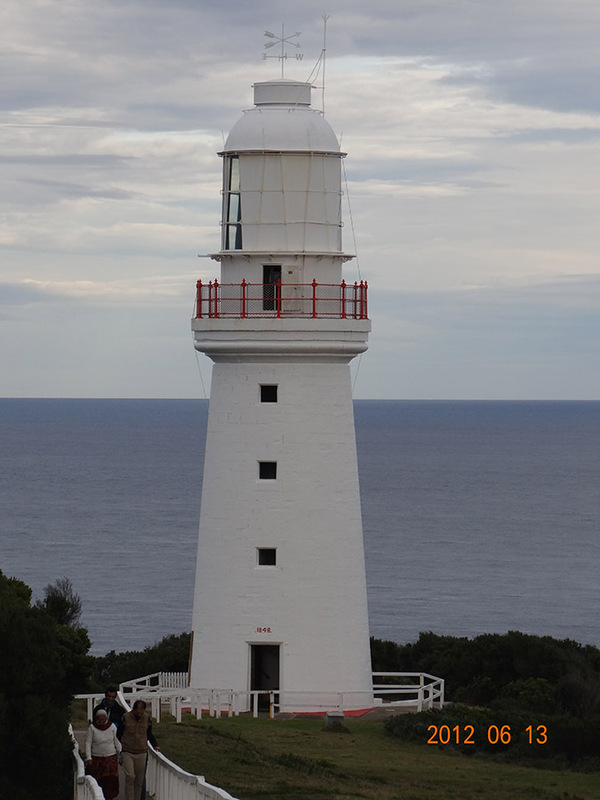 Cape Otway Lighthouse | Lighthouses of Australia Inc. 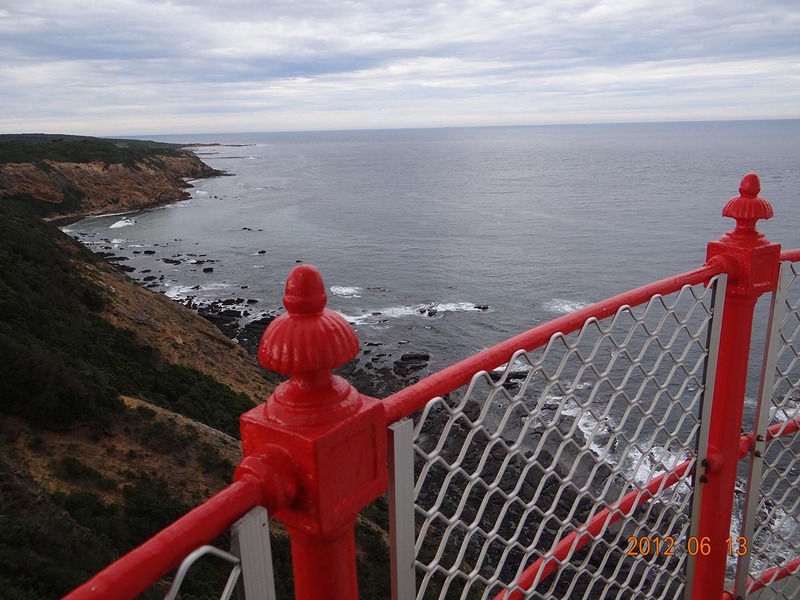 The 84 kilometre gap between, Cape Wickham on, King Island and Cape Otway is known as the “Eye of the Needle”. It is the Western entrance to Bass Strait. Sea captains would hug the Victorian coast, to avoid being driven into King Island in bad weather, resulting in many wrecks. Access was a problem in establishing the lighthouse and after three attempts, the Cape was finally reached by land. A site was selected and after great difficulty a road was cut. 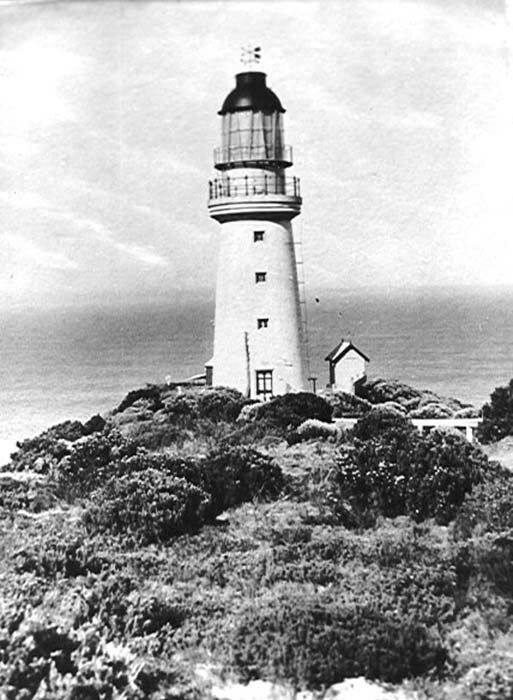 Construction began in 1846 with the light being lit in August 1848 making it the second light to be established on the mainland coast. The materials used consisted of stone quarried at the Parker River, 5 kilometres away. The first keeper was dismissed after only three months for “interfering” with the light. He was replaced by Henry Bayles Ford, a former sea captain tended the light for 30 years. His son George Ford rode on horseback to Camperdown to get help when the Loch Ard was wrecked nearby in 1878. The light was extremely isolated. Supplies were delivered every 6-12 months, landed at Parker River and brought overland. The only contact was with the few farmers in the area and rare official visits. Later a road was cut to Colac, but was not passable to motor vehicles until the mid 1930s. A fixed red light was added in 1881. The power of the light was increased in 1891, in 1905 and again in 1939. 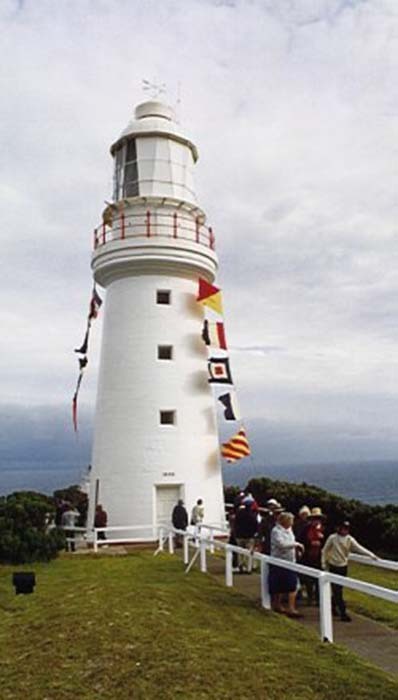 The light was decommissioned in January 1994 after being the longest continuous operating light on the Australian mainland. It has been replaced by a low powered solar light in front of the original tower. Over 3,000 people attended the ceremony to mark the turning off of the light. 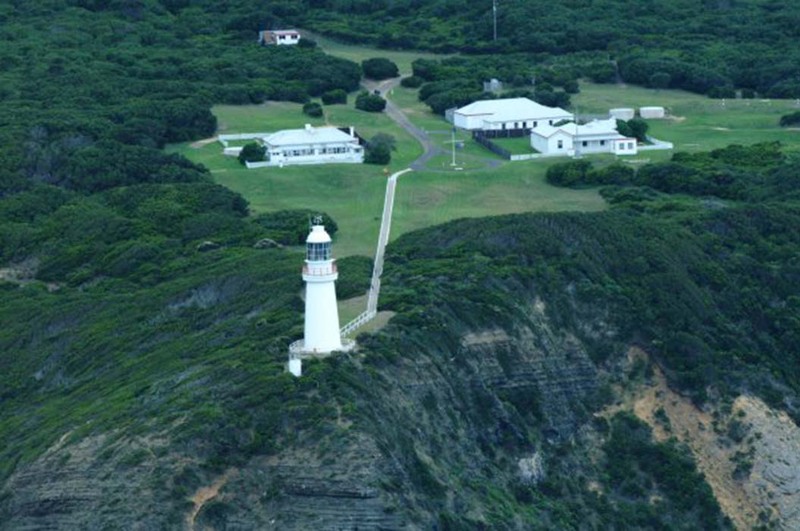 Cape Otway celebrated its 150th anniversary in August 1998.